Guest Post : Spicy Cheese Sticks for Sonia from "Oggi pane e salame, domani..."
My latest guest post for my Italian foodie friend, Sonia. A simple recipe that can be made by everyone. Cheesy, spicy, fried and I made it gluten free. Sonia offered me to write two blog posts for her blog Oggi pane e salame domani... (Bread and salami for today, tomorrow... , in English). The first post is about recipe and the other one will be about behind the scene. 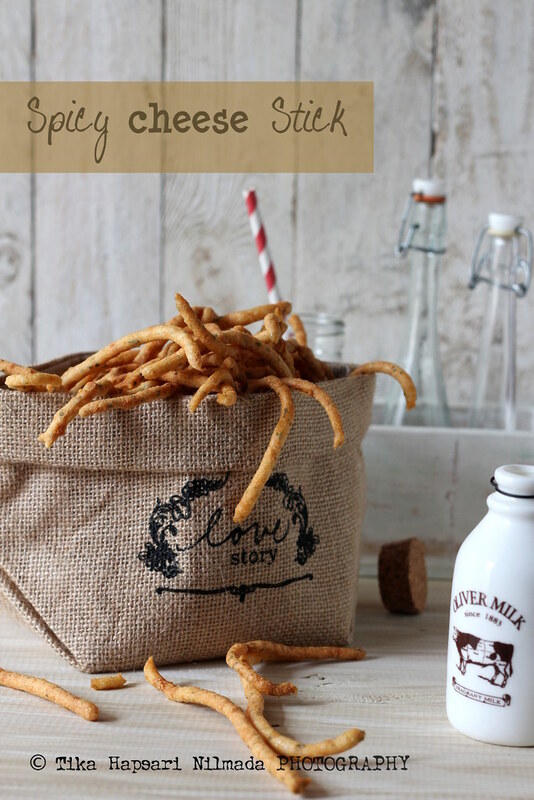 The complete story and recipe of Spicy Cheese Sticks can be seen on her blog. Juice or smoothie ? I misinterpreted the meaning of those words all along. According to some sources I've found on the internet, juice and smoothie are different and they produced from different machines. Juice is fruits and/or vegetables extract. By using a juicer you will get fresh liquid from the fruits or veggies. It's because juicer separates juice from the pulp. 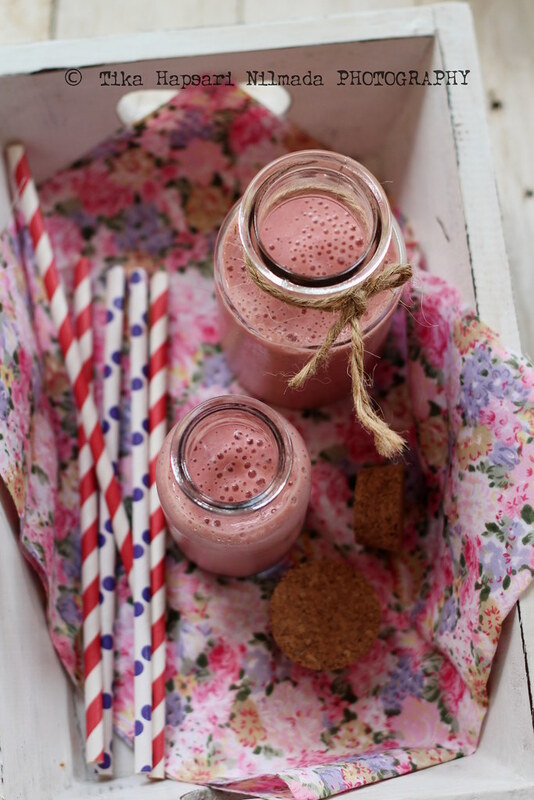 While smoothie is a blended of whole fruit (please remove skin and seeds before you blend it in a blender) and/or vegetable (or could be a mix of fruit and vegetable). 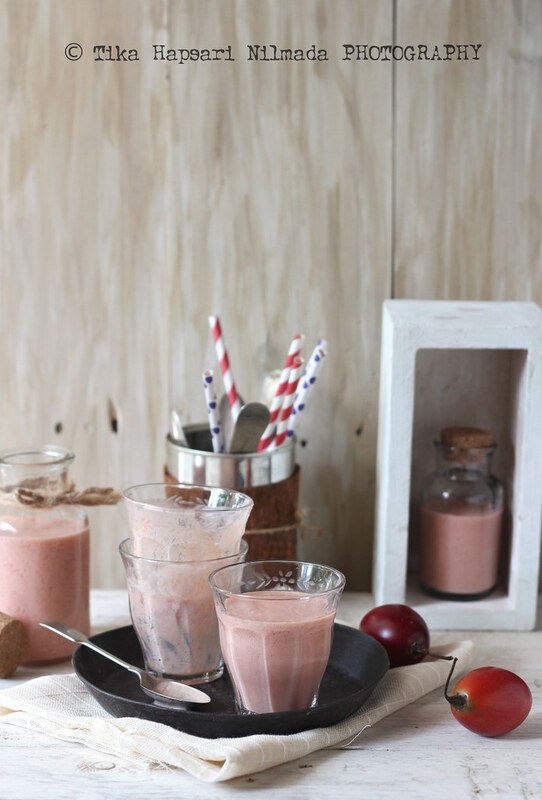 The consistency of a smoothie is thick and rich in fiber. Based on the above explanation, the drink I made this time is a smoothie. Hi everyone, good to be back again here. Been away for some photography projects and still have an upcoming project with my friends. I can't imagine how to manage my time with another extra activities and responsibilities, the hectic and the busy schedule. But deep in my heart I'm happy and very grateful for everything. I wish everything will work out for the best in the end. Aamiin. To boost my energy and immune system up, I need vitamin C from natural sources. The richest vitamin C sources are of course from fruits and vegetables We can find an easy and healthy way to enjoy mixed fruits through juice or smoothie. 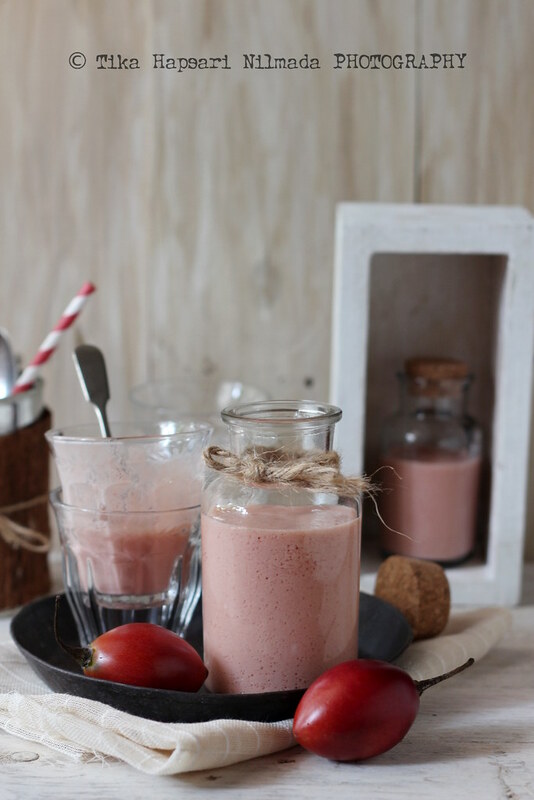 This time I made tamarillo smoothie with a little bit honey, milk and ice. So freaking fresh !! This one is an amazing healing drink. 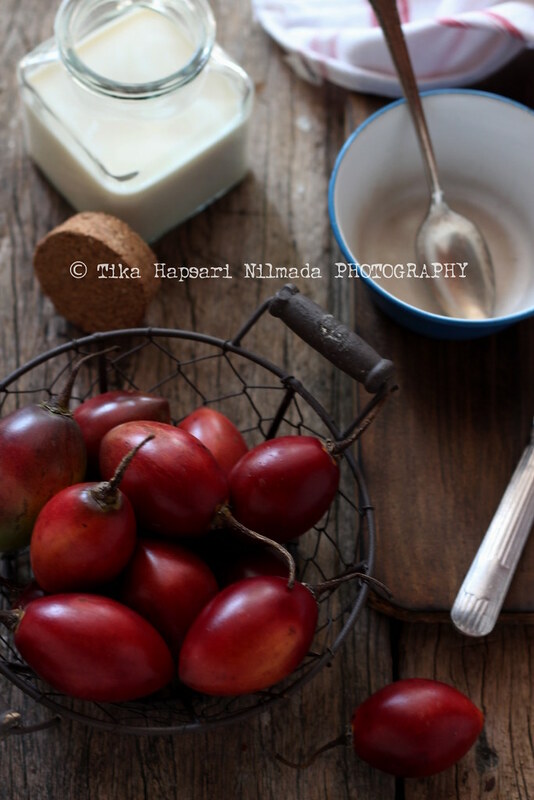 Tamarillo or terong Belanda (Dutch eggplant) is an egg-shaped fruit native to South America. It has a unique flavor, a combination of tomato and passionfruit. 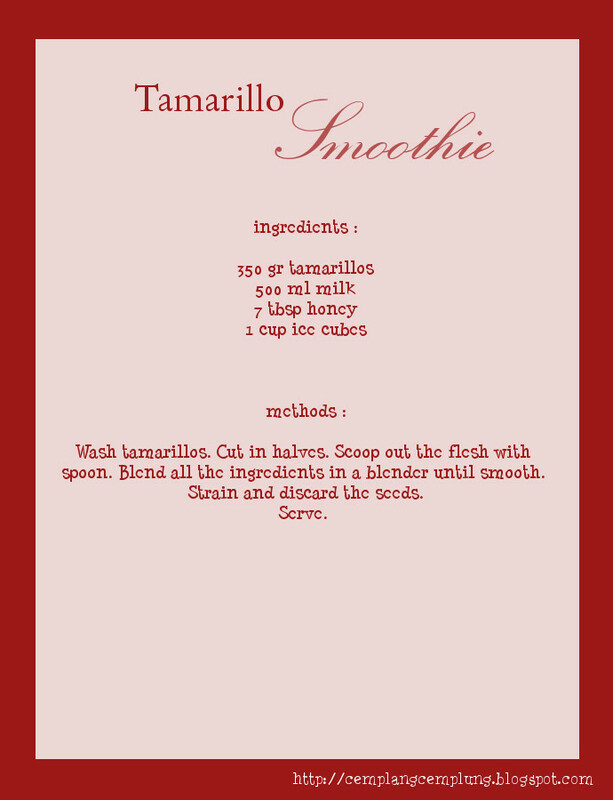 Tamarillos are high in vitamin C and nutritious.